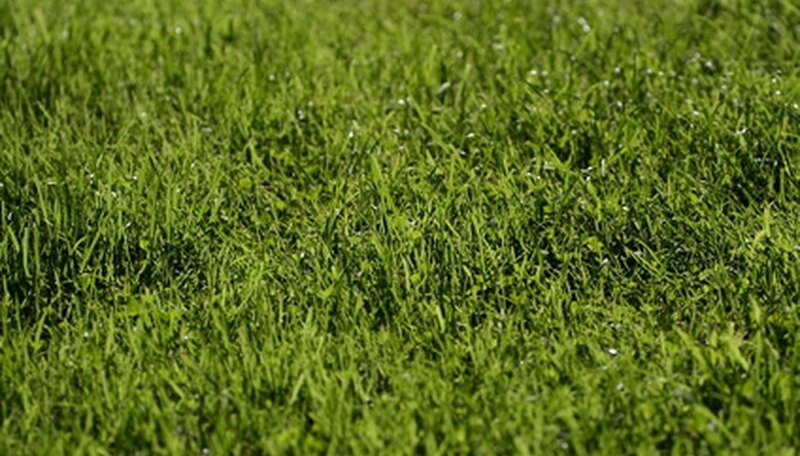 Depending on where you live, the best time to plant grass may be in the summer months. Warm season grasses need to be planted in the summer since they require warm soil temperatures to germinate and grow. Otherwise if planted in the fall like cool season grasses are, they may still germinate but will most likely fail to make it through the winter season because they will not establish. With proper seedbed preparation and other care practices, you will find it is fairly easy to plant grass seed in the summer. Use a soil temperature probe to check your soil temperature. Soil temperature needs to be consistently above 65 degrees Fahrenheit to germinate warm season grasses and they prefer soil temperatures between 75 and 80 degrees Fahrenheit. Check your soil pH with a pH meter. If pH is below 6.0, add lime at a rate of 40 pounds per 1,000 square feet. Recheck and add more if needed. Add a starter fertilizer to your soil. Apply your starter fertilizer with a broadcast spreader using the recommended application rate on the fertilizer bag. Rototill the soil to a depth of six inches. Use a garden roller to firm the seedbed up. Rake the soil with a garden rake to loosen up the top half inch of soil and to level any uneven areas. Spread the warm season grass seed using your broadcast spreader. Check the bag for application rates and what setting to set your broadcast spreader at. Bermuda grass is one cultivar of warm season grass and it needs to be spread at two to three ponds per 1,000 square feet. Cover seeds with 1/8 inch to 1/4 inch of soil by gently raking the entire seedbed. Water the entire seedbed two to three times per day for five to 10 minutes per watering to keep the ground moist. Maintain this watering schedule until all the grass is germinated. Back the watering down afterward to one to two times per week and long enough to apply one inch of water over the entire seedbed. Use a pan to measure the application amount. Mow for the first time three weeks after seeding. Mow every three to seven days thereafter and ensure you do not remove more than a third of the grass blade at each mowing. Do not overwater when establishing grass seed. If you notice your seedbed staying extremely soggy, back down on the watering until it's just moist. Too-soggy ground will promote seed rot.